Jesus meet us in the Mass in Mercy, no matter where we are in our lives. He meets us exactly where we’re at. And He loves us there. 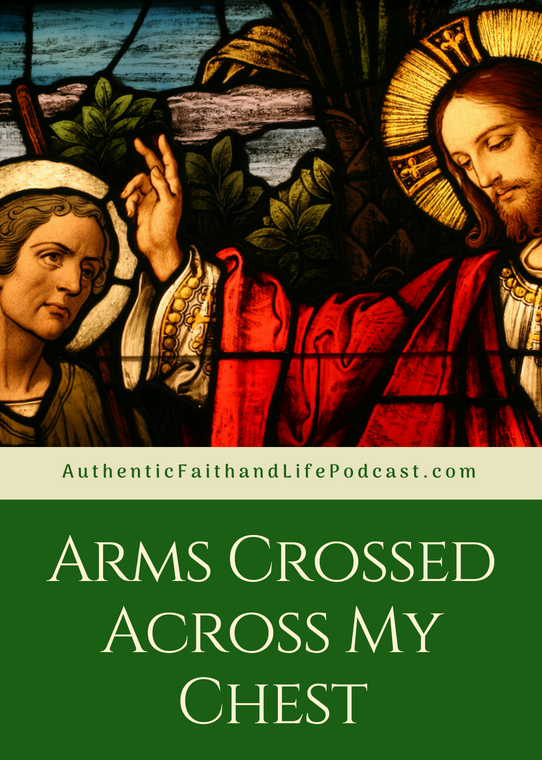 What does it mean when you see someone with crossed arms across their chest in the line to receive the Eucharist? Therefore there must be some definition of being outside of Grace and some definition of sin. Join Dr. Sue Ellen Nolan as she experiences the mercy and love of God, in the Mass, through the ministers of Holy Communion, the priests and the deacons. Listen to two stories of the goodness within us and how that goodness images God, our creator, and how He created us for communion with Him. Find out how we are both the image and likeness of God and what that means for us today. Christianity is founded on a loving God that doesn’t need us but simply loves us, for ourselves, no matter our imperfections. God is Love, and we are His.